This work was done for my club event three years ago. I changed Spitfire to Air Racer style. 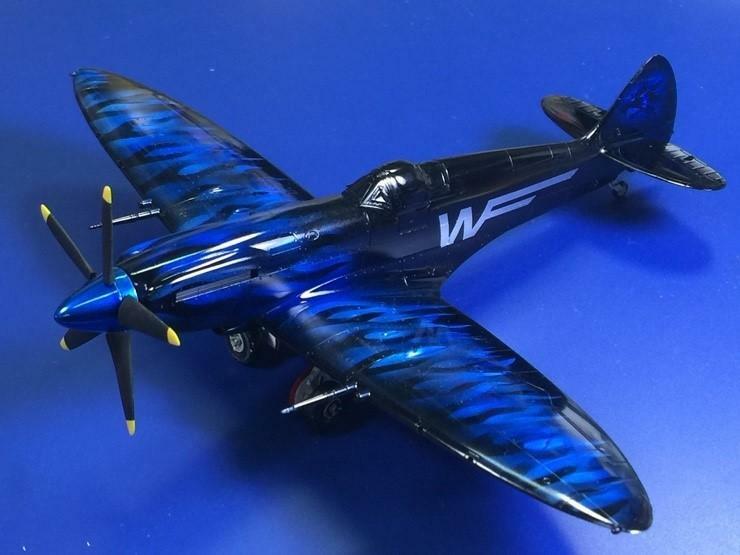 My concept was to make Spitfire with a mysterious blue flame. 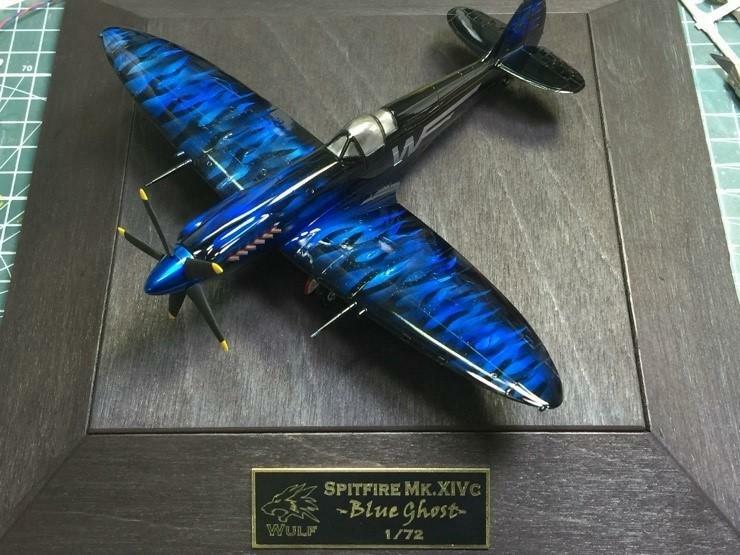 I finally won the Grand Prix at the club event with this spitfire. 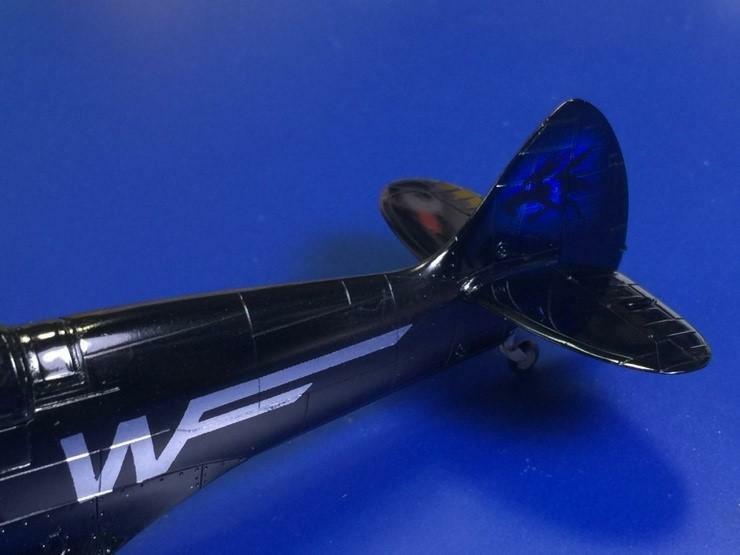 The effect is not unlike metal-flake painting on custom cars. Very unusual. Thank you for watching and comment! Thank you so much, Pedro! Nice job. Something different….I like it! 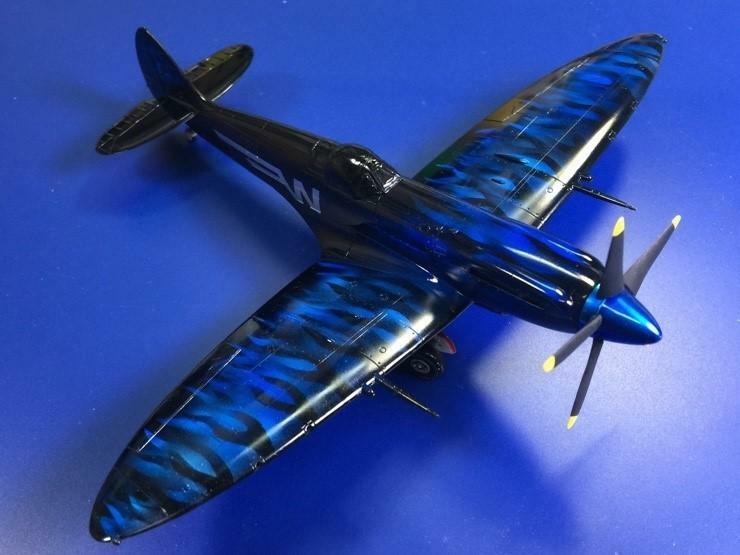 Excellent Racing Spitfire, jonghwan Lee! Very nice effect and outstanding painting. I just like aircraft not weapon. Way cool! I was a bit confused by the canopy in all but the last shot – had you not taken off the mask when you took the pics, but then did for the one on the base? Those pic was taken in work in progress. So I didn’t remove the mask of canopy yet. I’m Sorry for make you confused. It reminds me of something held under a black light or a mood light. 70s ish in a groovy kind of way. Really cool hotrod of a plane!